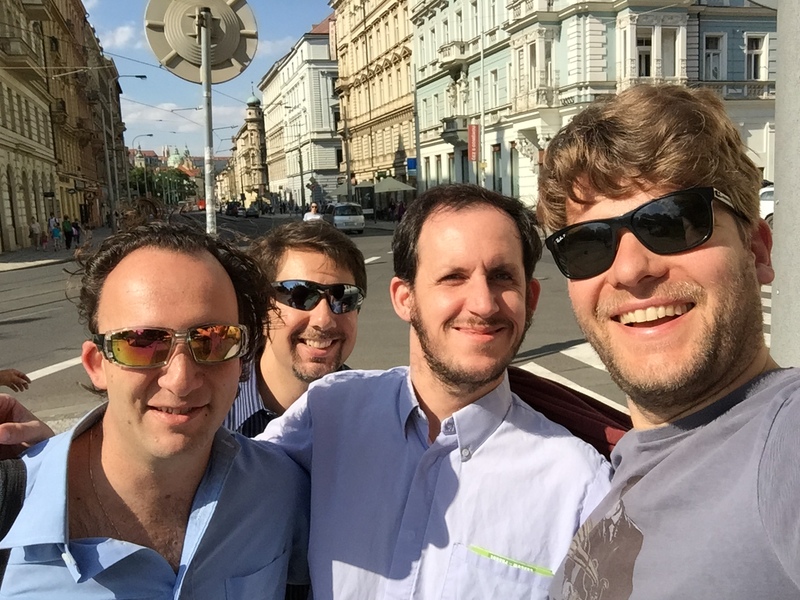 Four out of five KlezFactor band members taking a selfie on the streets of Prague. Did we see you in Prague at our show at Jazz Dock? If not, you can Czech out some of that action right now! We’ve finally got some video edited of our concert there and here it is! This song is Rumanian Rhythm, originally recorded in 2008 for our Klezmachine album, this tune has been a staple of our repertoire ever since. Fun fact #1: This is the only song for KlezFactor that I’ve written at KlezKanada, the klezmer retreat and workshop that takes place every August in the Laurentian Mountains, about an hour north of Montreal. Fun fact #2: I wrote this song on the flute. I could probably count on both hands the number of times I’ve played the flute since. Fun fact #3: We debuted this song in our repertoire at the 2006 Ashkenaz Festival . . . just days after it was composed! Contest time! I’ll give away a FREE COPY of Klezmachine to anyone who can correctly guess what song I based the chord changes on. Leave your answer in the comments or send it to us at info@klezfactor.com! Rumanian Rhythm was recorded on our Klezmachine which is available on Apple iTunes and CD Baby! Stay tuned for updates on KlezFactor: Europa and other announcements of 2015/2016 concerts!